Approaching its centennial in 2016, the National Park Service has launched the "Find Your Park" campaign, encouraging everyone to get out and make a personal connection to our amazing outdoor places and historical sites. For over 90 years, millions of people have made Timpanogos Cave National Monument their park, hiking the trails high above American Fork Canyon for fun, fitness, or a glimpse into the caves themselves. The cave trail opens and tours resume on May 9, 2015. While recent beautiful weather has local fitness enthusiasts anxious to resume hiking the cave trail for exercise, it remains closed until May 9th as contractors complete construction of new trail safety barriers in steep cliff areas. Crews are also replacing several doors inside the cave in order to better preserve cave formations, and park crews are working had to repair trail areas damaged by winter weather before the estimated 100,000 annual hikers begin to hit the trail in May. 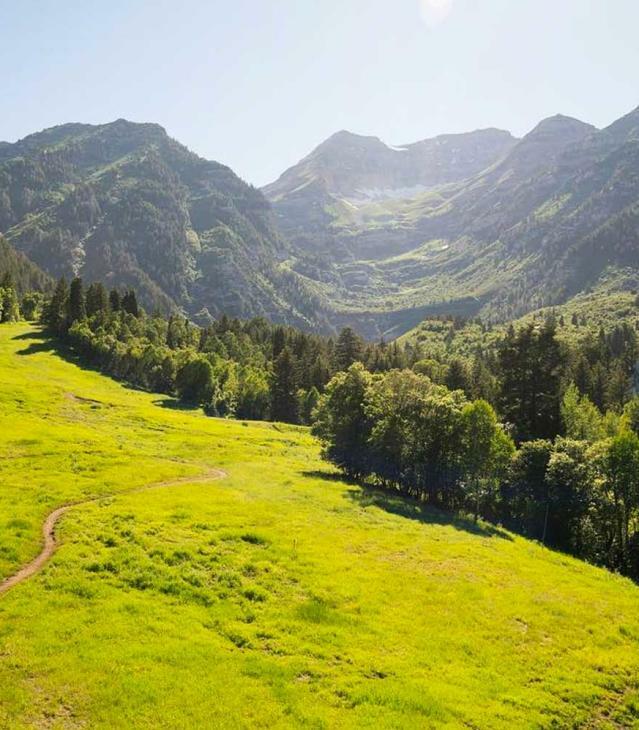 This year Timpanogos Cave will partner with American Fork Fitness Center, Lehi Legacy Center, and Timpanogos Cave Concessions, to begin a new outdoor adventure program for youth 4th-9th grades called Timpanogos Cave Kids Summer Outdoor Adventure. Through a grant from the National Park Foundation children will be able to participate in a guided walk and tour of the cave, encouraging outdoor fitness experiences. This program will be offered every Wednesday throughout the summer; more information will be available as the end of the school year approaches. Last year, the park launched a highly successful on-line advance ticketing system, which continues this year. Although there are usually limited tickets available at the beginning of each day, purchasing tickets on-line ahead of time assures a place on a tour. Tours often sell out well in advance, especially on weekends and holidays. Visitors can reserve tickets up to 30 days in advance through the National Recreation Reservation System, on-line at www.recreation.gov or by calling (877) 444-6777, toll free. The website will be available 24/7 and phone sales available 8 a.m.to 10 p.m. Mountain time. Starting May 7th, the Monument visitor center and bookstore will be open daily from 7:00 a.m. to 6:00 p.m. through Labor Day, and from 7:30 a.m. to 6:00 p.m. for the remainder of the season. Tours begin on May 9, the Saturday of Mother&apos;s Day weekend, as is tradition at the Monument. Groups enter the cave every 15 minutes, weather permitting, and each tour is limited to 16 people, regardless of age. •	Deck talks are offered at 10 a.m. and 4 p.m. daily on a variety of topics at the monument visitor center. •	On Saturdays, the 10 a.m. program will be for Junior Rangers, and on Wednesdays and Saturdays the 4 p.m. talk will be specifically designed for Cub Scout and Boy Scout audiences, though everyone is welcome. •	Grotto talks will be offered at the cave entrance four times throughout the day at 12:00, 12:45, 1:15, and 3:30, for those waiting for tours as well as those just out for a hike. •	Evening programs each Friday and Saturday evening at 7p.m., Memorial Day to Labor Day, at the visitor center, are a great way to learn something new. •	Sundays, a "Hike with a Ranger" program goes up the trail at 11 a.m., stopping at various points to listen to the guide. •	Rangers encourage fitness walkers to come in early morning to avoid the heat of the day. More information about trail safety and hiking for fitness will be available in the visitor center. The three mile round-trip hike to the cave is strenuous, climbing almost 1,100 feet in elevation from the parking lot to cave entrance. Altogether, the hike and cave tour take about three to four hours. Afternoon temperatures on the trail often exceed 100 degrees, while the average cave temperature is a cool 45 degrees Fahrenheit. Light jackets, plenty of drinking water and sturdy walking shoes are recommended.